Call us at 1-858-361-8457 to ask questions or to start planning your custom San Diego brewery tour experience. Brew Hop is focused on your beer enjoyment, consumption, and enlightenment. Each Brew Hop tour is private and custom designed for you. We put your party in one of our flashy rides and tour regional breweries showcasing what they do best: providing the freshest, most unique, award-winning and finely crafted beer creations. Every tour route, and the breweries we visit, are customized according to your tastes and desires! We work directly with your party to determine the best pick up and drop off locations in San Diego County. You choose a home, hotel, favorite pub, trolley stop or train station. It’s entirely up to you, as we want you to have an unforgettable Brew Hop experience. We staff each Brew Hop tour with one of our VIP Tour Hosts to ensure your day is flawless. These hosts are here to conduct your private tours behind the scenes, refill your tasters, guide your individual tasting experience, introduce you to brewery staff (when available), and make sure you have plenty of samples at each brewery. 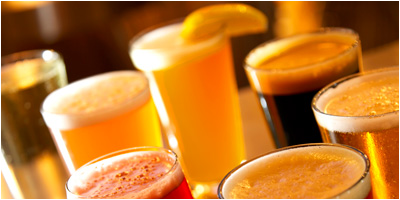 A 2 1/2 hour brewery tour for those looking for a taste of San Diego’s local craft beers. This tour can reach 1 or 2 breweries, and provide your party with a bit of brew know-how and quite a few samples of beers. The Tasters Tour price includes luxury transportation with a professional driver, VIP tour host, private tours at each location (when possible), gratuities for all bar staff, and ALL your beer samples at every brewery. A 5 hour party, experiencing 3 or 4 of the 60+ local breweries. 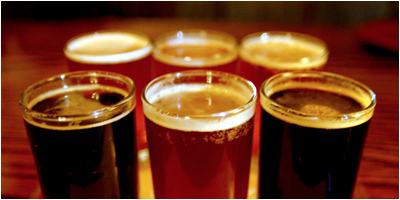 This tour encourages you to sample a wide variety of breweries and styles, showcasing the history and highlights of several brewery locations, and allowing you to enjoy a vast selection of locally crafted brews. Many locations have teamed up with local gourmet food trucks, or have food options, so you can grab a bite while enjoying your beers. It’s a marathon, not a sprint! The Connoisseur Tour price includes luxury transportation with a professional driver, VIP tour host, private tours at each location (when possible), gratuities for all bar staff, and ALL your beer samples at every brewery. *Prices may vary depending on the size of the tour, tour route and time of year. As with all of our tours, if you would like to modify the route, spend more or less time touring the city on your Brew Hop, or have any particular custom requests, please let us know, and we will create the perfect package for your party. Refund Policy: Changes and cancellations may be made up to 7 full days before the tour date with no penalty. Full payment for the tour is required within one week prior, and any changes or cancellations made within 7 days of the tour date are not eligible for full or partial refund.